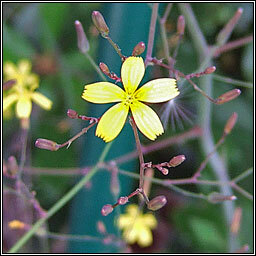 The broad panicles of small pale-yellow flowers on very slender, branched stems are followed by blackish, beaked seeds. 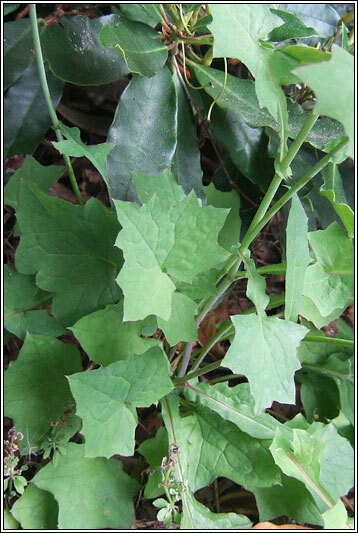 The toothed leaves are pinnately-lobed with a large triangular end-lobe. 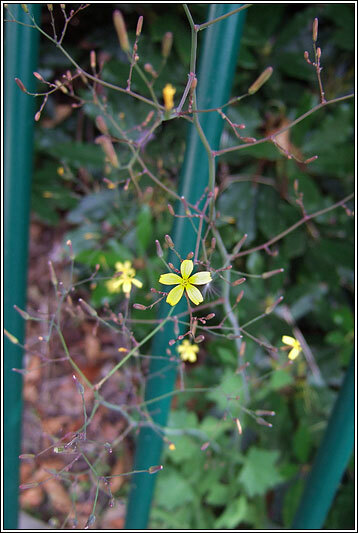 Habitat: Calcareous walls, waste ground, rocky woodland and hedgebanks.